It seems all is not well in the All Progressive Congress in Imo State. 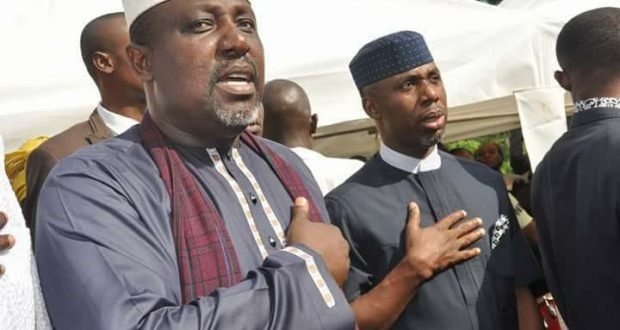 The Governor of Imo State, Rochas Okorocha, is missing at the ongoing first Imo All Progressives Congress stakeholders’ meeting in Owerri, the state capital. The meeting, which has in attendance the APC national organising secretary, Senator Osita Izunaso, senators Benjamin Uwajumogu, Ifeanyi Araraume, and Okorocha’s deputy governor Eze Madumere, is being presided over by the state chairman, Hillary Eke. Others at the meeting which is going on at Concorde Hotel, Owerri, are the chairman of TETFUND, Emeka Nwajiuba; chairman of Nigeria Insurance Trustfund, Jasper Azuatalam; former secretary to the state government, Jude Ejiogu; Okorocha’s son-in-law, Uche Nwosu, and others. A source said the governor boycotted the all-important stakeholders’ meeting because the APC chairman in the state refused to have the meeting hosted at Imo Government House as suggested by Okorocha.